Last weekend had felt like a bit of a non-event, we didn't seem to achieve much, neither of us got a lie-in, I didn't get child free time to do cleaning. All of which put me in a bit of a grump. What a difference a week makes. Friday started off well with a 'weigh-in' that showed that I had lost a further two pounds despite not being a hundred percent commited to the diet this week. Craig also felt that his combat pants were looser so we decided to be a bit more relaxed about food and drink this weekend. With that in mind we had a lovely chinese and glass of wine in front of the telly to celebrate the start of the weekend. Craig had said that he fancied going out for a family meal on Saturday, we considered the Trafford centre but I suggested that we go into Manchester and then we can take Freya on the train for the first time. It turned out to be a really good plan. Freya was in awe at the train station and loved the experience of getting tickets from the conductor and going through the tunnels. We saw a couple of policemen at Manchester Victoria. 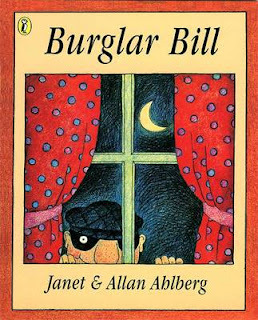 Freya and I had been reading 'Burglar Bill' recently and in the story Burglar Bill tells the baby to say "run for it" if he sees a policeman. I whispered "runfrit" to Freya and in response she shouts "runfrit" several times really loudly at the coppers, luckily they were amused. We had a great three course meal in Pizza Express washed down with a Peroni and a glass of wine whilst Miles Davis played in the background. We were seated down by the door amoung all the other diners with kids. On the next table there were two little girls of a similar age to Edie and Freya which was nice. All of the kids at the restaurant were really well behaved including our two- thank God. We laid the pushchair flat when we left the restaurant and trotted around the city centre to get the girls off to sleep. This pub sign along the way made me smile. They were both asleep by the time we got to chinatown and Craig got to nip into the thai supermarket. The sun was just going down as we got back to Darwen, we popped into the shop to pick up some milk before the trek up the hill. We felt the kind of tired that you feel when you have been at the seaside all day. That evening, Craig got the chance to play on minecraft while I faddled around doing chores. One of the 'chores' was making up bubble solution. I thought that this would be an economical way of getting bubbles in the future. It turned out to be a lot of hassle. After two attempts, and a lot of good washing up liquid, the bubbles are crap. You live and learn. The recipe I used was 3 parts water to 1 part detergent and 2 tablespoons of glycerine. I am going to have to use it up because I don't want to waste all that Morning Fresh. At least it looks pretty with one of my Ideal Home labels. I got the label making CD free with my Ideal Home magazine years ago and it is fabulous. Probably the best thing I have ever got 'buck-shee', as Nick would say. Sunday started with a lovely lie-in for both of us courtesy of Edie feeding at six a.m. then going back to sleep for two hours. She is really snotty with a cold at the moment, we have even had to crack out the dreaded 'nasal aspirator'. When we finally got up Craig brought us tea and toast which we enjoyed in our big bed all together. We dropped in on Nic, Nick and Elodie to catch up and share a coffee in front of their log burner. The girls got to play together, in toddler fashion. This meant that there was a bit of snatching, a bit of hitting, some kissing and a liberal amount of snot bubbles. We promised again that we would babysit for each other before we departed to let them get to a christening. A brief morning get together meant that the rest of the day was free. Craig pressure washed the garden. He was so cold and damp by the time he came in, he had to strip off in the kitchen, then jump in the tub. The flags took two hours but the garden looks great and will hopefully inspire us to organise the garden for summer. Freya's late night wakings have led me to cut her afternoon sleep down to an hour and it pains me to wake her. This means that I get less time to myself and she is also very tired and crabby by the time six o clock rolls around- joy. We left Craig soaking and went up to nannie's for a brew. Mum has had a stinking cold and has subsequently lost her voice but remains her usual cheery self. Although she didn't want to take her coat off, Freya has become a lot better at visiting Nanny and Grandad's. Since starting nursery and being ill she hasn't wanted to be away from home and would cry to go home as soon as we went out. That seems to have settled and I actually had to put her in 'time out' to get her to get dressed and leave tonight. The weekend has been rounded off by pork chops and Top Gear. All in all, a vast improvement on last week.